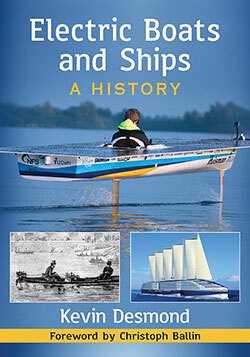 Definitive, meticulous, and full of tales of adventure against the odds, both on and off the high seas. Most of our planet is covered by water, and for our brightest and most daring minds, gaining mastery over the elements of sun, wind and water by using only the powers of nature, without damaging the planet, represent an opportunity for healthy and clean adventure and discovery, not a threat. But until now, many of those achievements and stories have yet to be told. Kevin Desmond is a highly experienced journalist, author and sailing enthusiast, and his enthusiasm, expertise, ear for a good yarn, and passion light up every page. 180 years of development, setbacks, triumphs, and spectacular failures follow, with some amazing tales of world class scientists and madcap adventures combining to test the very limits and boundaries of the possible. I love to read about the heroics of the past, and also gain some glimpse into the brave new future, and Desmond’s epic and meticulously researched history does not disappoint.